There are few topics of discussion “hotter” than of dogs being left in cars – and few that are so likely to result in property damage. 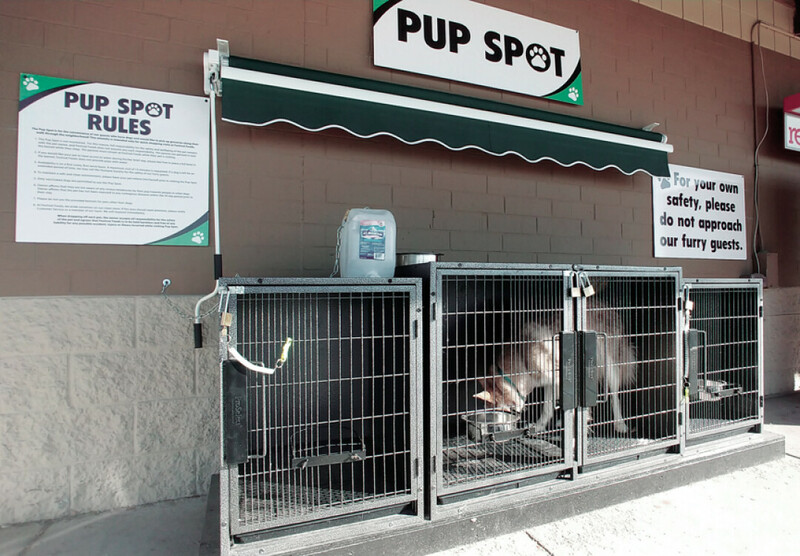 With that, and the safety of our furry friends, in mind, two Festival Foods locations in Eau Claire now feature “Pup Spots.” When visiting the North Clairemont Avenue or Mall Drive locations, shoppers can leave their dogs in outdoor kennels, complete with locks, water dishes, and shade – all free of charge. Pets can lounge in these safe spots while their people grab groceries, eliminating the need to decide whether to leave a companion at home or in the car. Visitors are encouraged to avoid leaving animals in the kennels, which are available on a first-come, first-served basis, for more than 15 minutes. Visiting animals should be up-to-date on vaccinations for the safety of other animals and people. Kennels are cleaned regularly by store staff as a courtesy to visitors, although water is not provided.